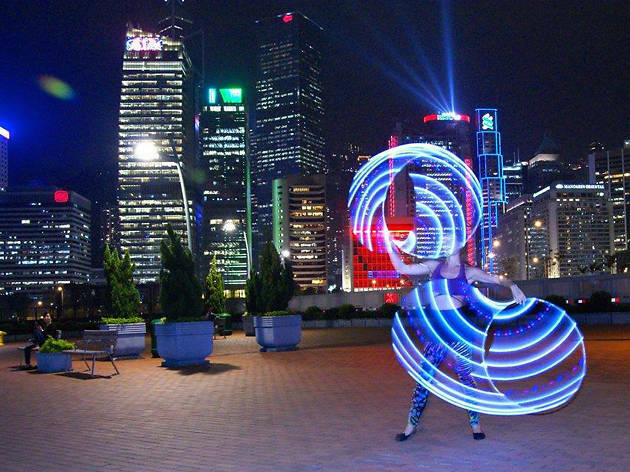 Who says hula-hooping is just for kids? Hula-hoop dance is a fantastic cardio workout, it helps tone your body and train your overall balance. Join Turning Circles founder Emma Brown in learning how to do basic hula hoop tricks including waist hooping, weave, vertical spin, horizontal spin, jump rope, behind the back isolation and more, and incorporate all the skills into a dance. This eight-week course welcomes beginners and is suitable for all levels. With Victoria Harbour and the Central nighttime skyline in the backdrop, there’s no better way to burn some calories and have some fun.